The most common treatment for Hashimoto’s Thyroiditis and other hypothyroid conditions is synthetic thyroid hormone medications or natural thyroid hormone supplements. 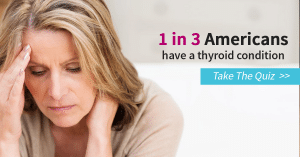 These thyroid hormone replacements are meant to help replicate normal thyroid functioning. They work in much the same way your own thyroid hormone would work. Some names of synthetic thyroid hormone medications are Synthroid, Levothroid, Levothyroxine, and Levoxyl. Some natural thyroid hormone replacements are Armour, Cytomel, and Thyrolar.